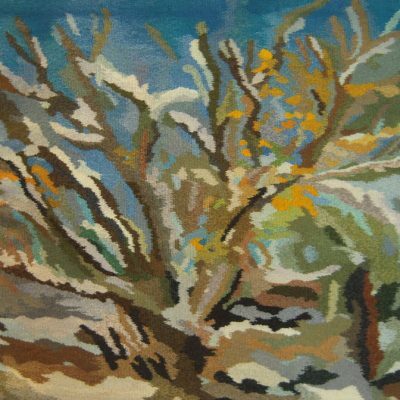 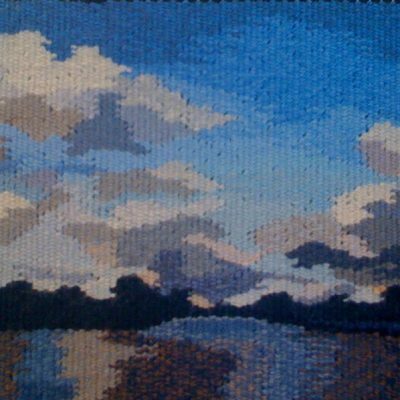 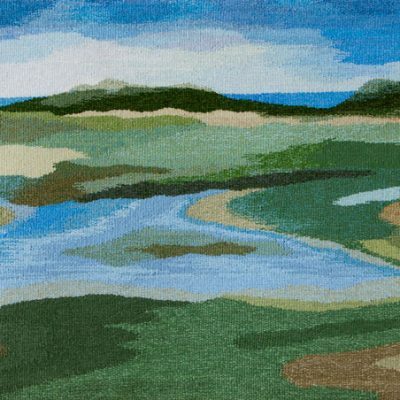 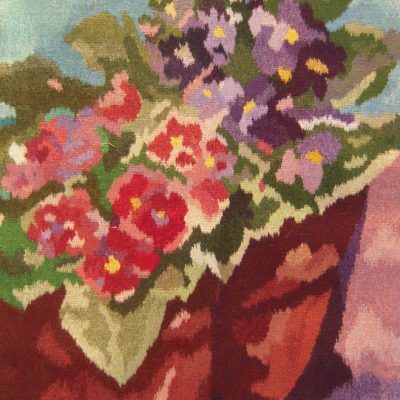 Handwoven Tapestries are paintings made with yarn. 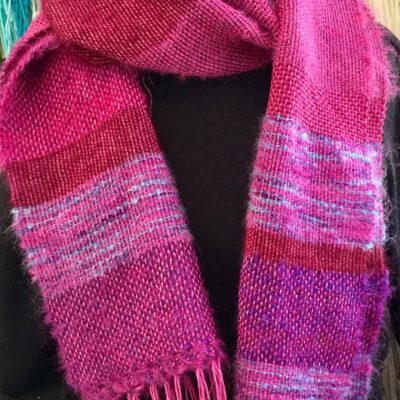 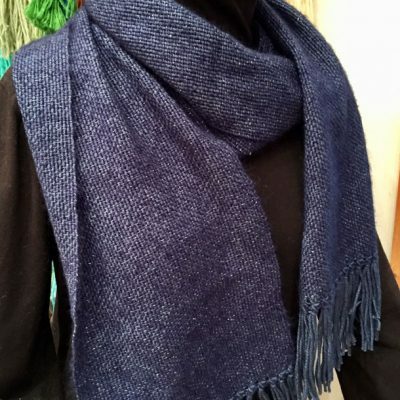 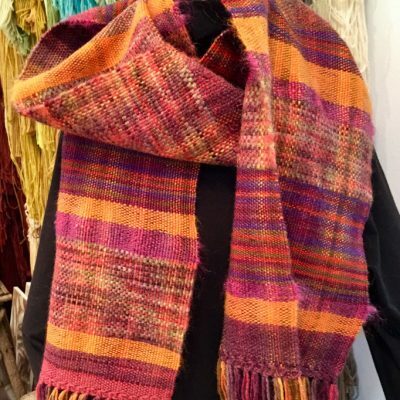 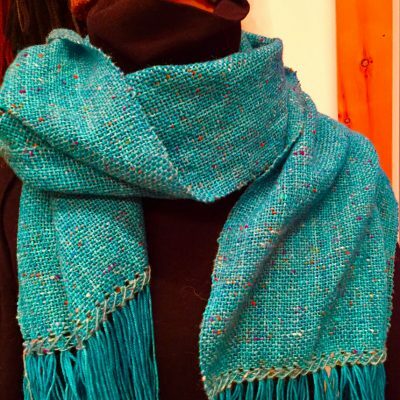 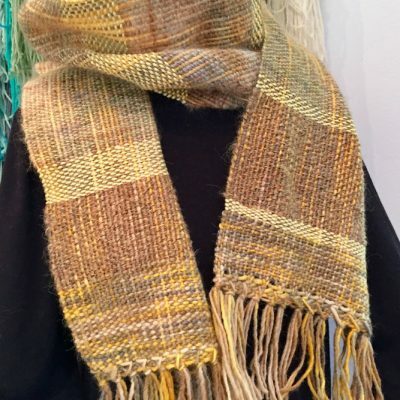 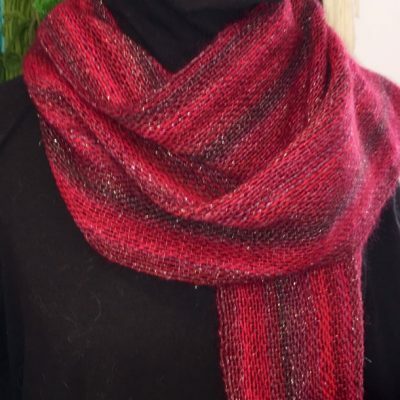 Handwoven scarves are art made to be worn. 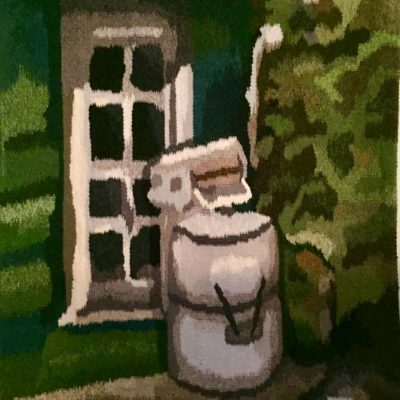 This artist is number 7 on the Studio Tour map. 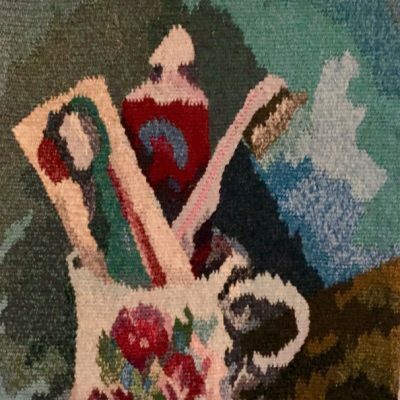 She is a guest of Darlene Mann.